U.S .equity index futures were higher this morning. S&P 500 futures were up 9 points in pre-opening trade. 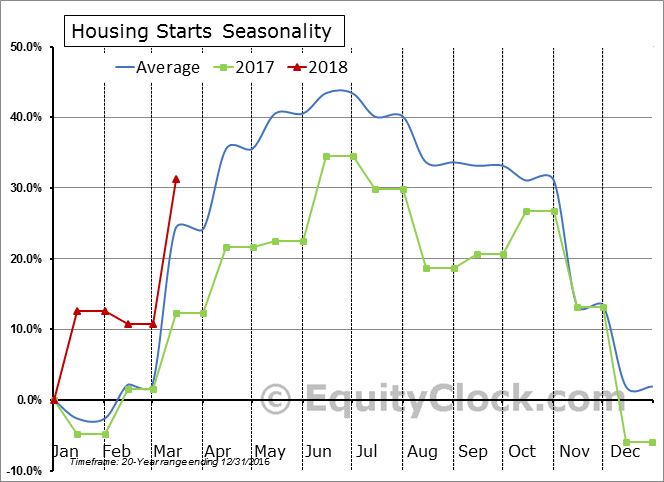 First quarter reports continue to pour in. Companies that reported overnight included IBM, United Continental, Intuitive Surgical, CSX, Abbott Labs and Morgan Stanley. Intuitive Surgical added $23.05 to 458.50 after reporting higher than consensus first quarter earnings. Stifel Nicolaus raised its target price on the stock to $515 from $480. UnitedHealth Group (UNH $238.55 is expected to open higher after JP Morgan raised its target price to $266 from $258. Johnson & Johnson (JNJ $130.40) is expected to open higher after Stifel Nicolaus raised its target price to $145 from $135. eBay gained $2.29 to $42.90 after Morgan Stanley upgraded the stock to overweight from underweight. 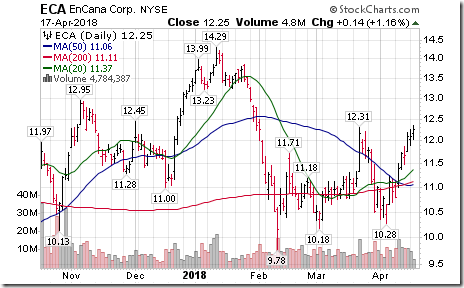 VM Ware gained $5.34 to $137.22 on news that Karl Icahn has taken a moderate position in the stock. 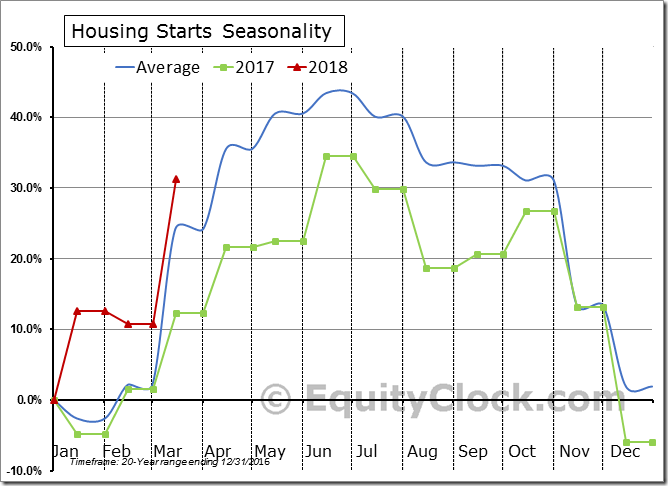 Note seasonality charts on U.S. Housing Starts, Manufactured Goods Sales, Industrial Production and NASDAQ Composite Index. 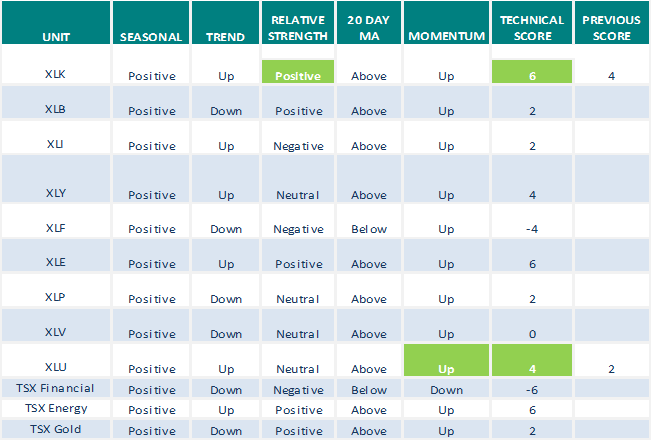 Tech action by S&P 500 stocks to 10:00: Bullish. 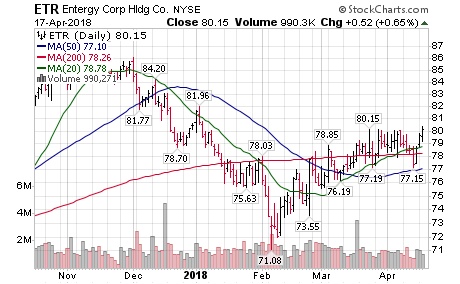 Breakouts: $IPG $COST $KR $ALL $ETFC $PLD $HUM $UNH $TDG $CTXS $FLIR $PCG $CNC. No breakdowns. 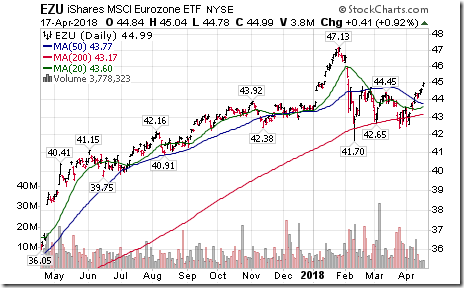 Eurozone iShares $EZU moved above $44.81 setting intermediate uptrend. 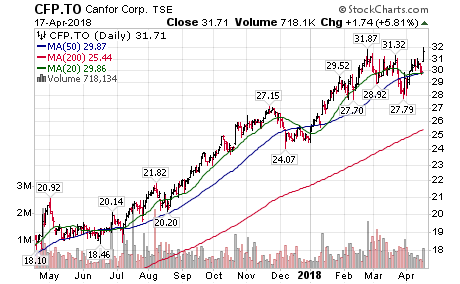 Canfor $CFP.CA moved above $31.87 and $31.93 to all-time high extending an intermediate uptrend. 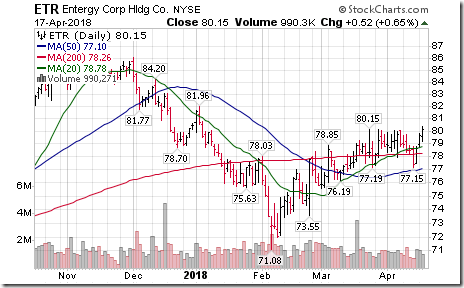 Another oil services stock breakout! 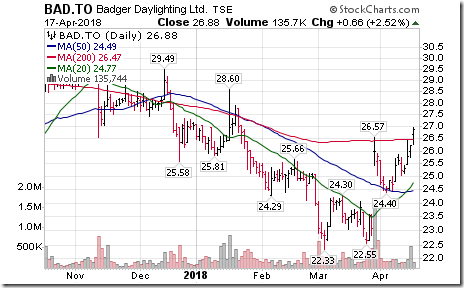 $BAD.CA moved above $26.57 extending an intermediate uptrend. 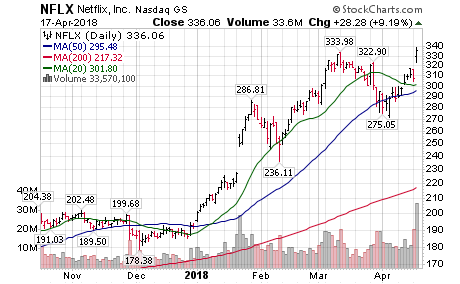 Netflix $NFLX, one of the FAANG stocks moved above $333.98 to an all-time high extending an intermediate uptrend. 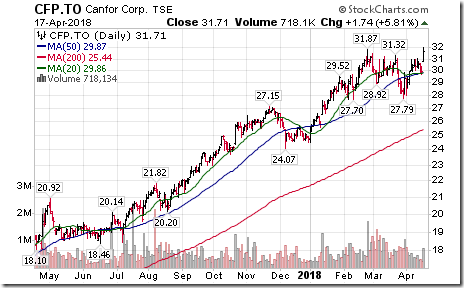 Another major Canadian energy stock breaks out! 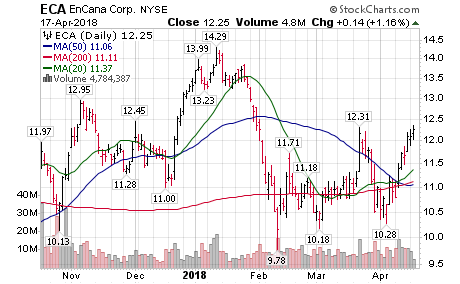 $ECA Encana moved above $US$12.31 extending an intermediate uptrend. 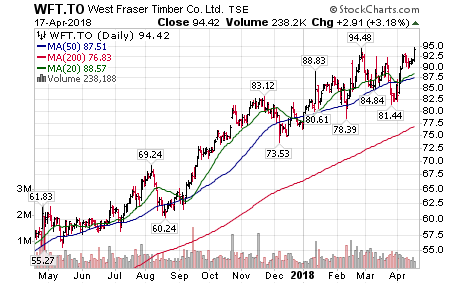 Another Cdn lumber stock breaks out! 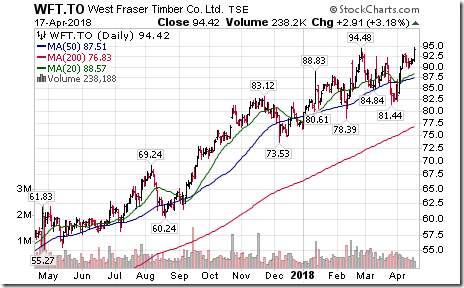 West Fraser Timber $WFT.CA moved above $94.48 to an all-time high extending uptrend. 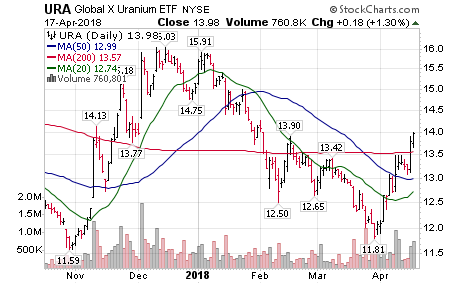 Uranium ETF $URA moved above US$13.90 extending an intermediate uptrend. 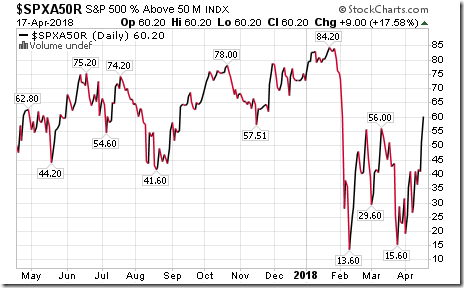 The Barometer jumped 9.00 to 60.20 yesterday. 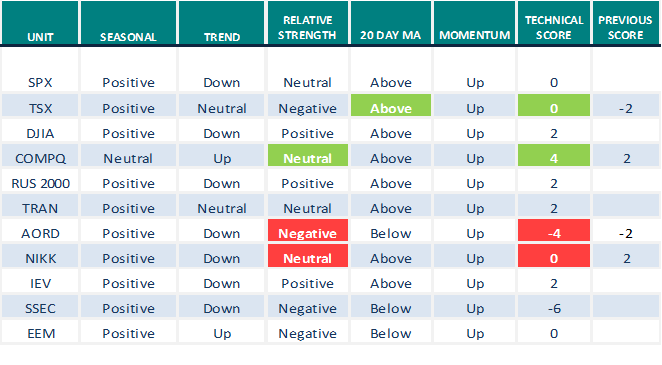 It has moved to intermediate overbought, but continues to trend higher. 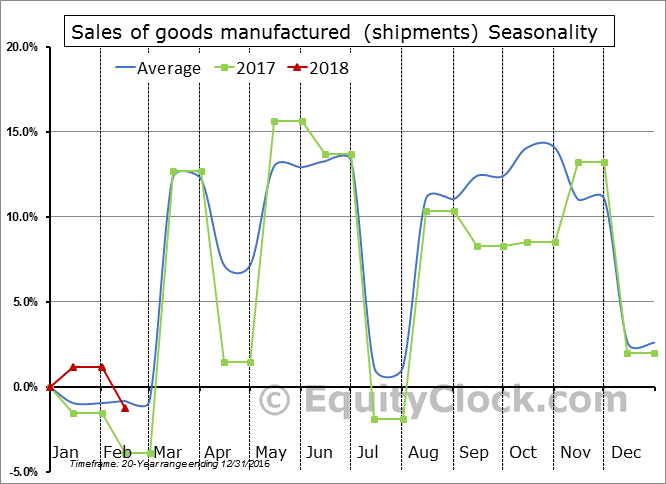 The Barometer gained another 5.35 to 60.49 yesterday. 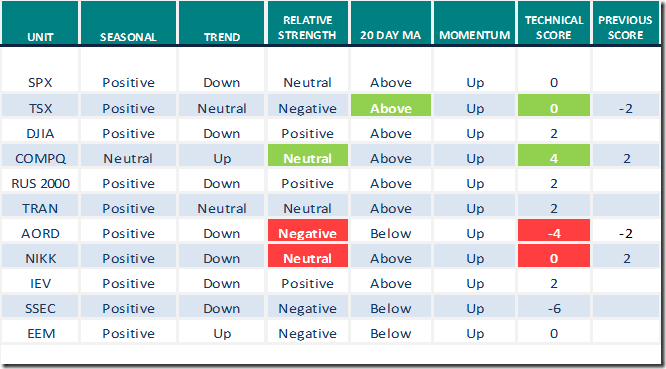 It has moved to an intermediate overbought level, but continues to trend higher. If you have a few minutes, could you kindly comment and shed some TA on two for me ? T.TO (seems to be at the bottom of its descending triangle? 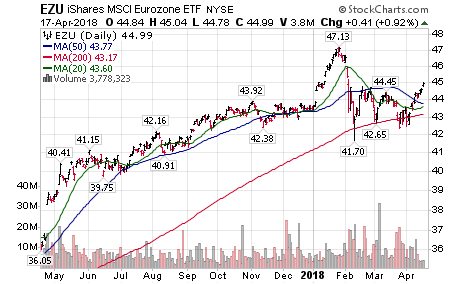 Would you not hold it below 44.50 ? TD.TO (and Canadian banks sector) – Does it seem like its close to a bottom here ? T.to has been one of the better Utiltiy stocks and note the ratio charts above showing this outperformance. 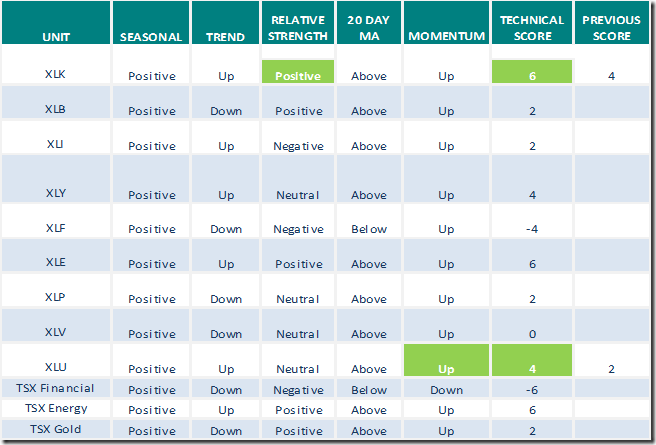 Price like many stocks have pulled back to important price support which were previous highs one or two years ago. Those price points tend to be important support levels. At the same time price did break its uptrendline and is in a tight one dollar range between $44.25 and $45.50. Price is clearing waiting for a reason to rally or breakdown. 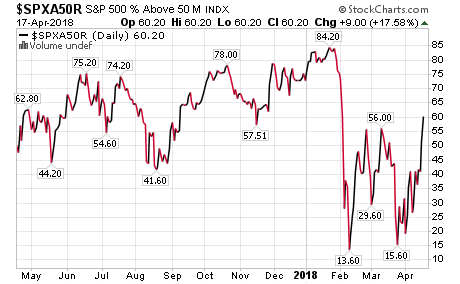 Utility stocks are sensitive to interest rate hikes especially and all of them have sold off and are trying to base build. 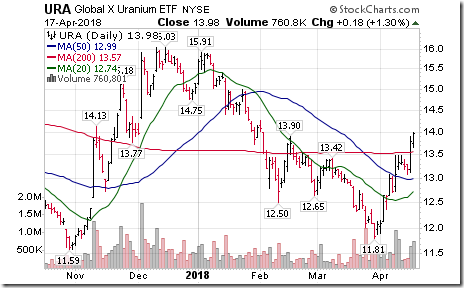 So the $44.25 level must hold on the close or I wouldn’t hold it. 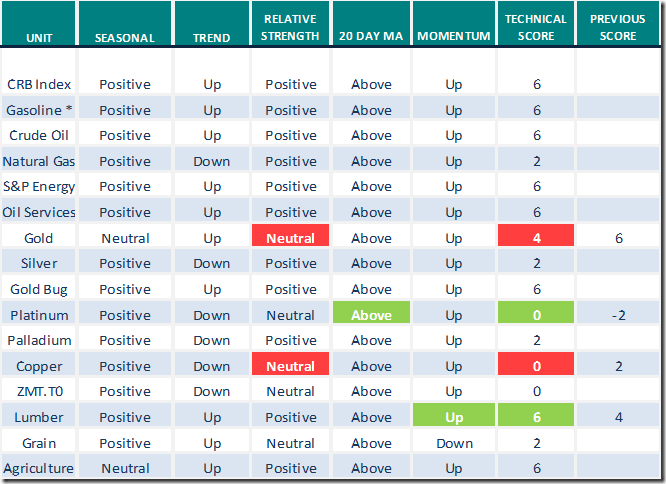 Price needs to clear the top of the present tight range at $45.50 to suggest an uptrend has begun again. Even then the downtrendline would be next resistance. If you are buying and holding for dividends this is a good stock for that. 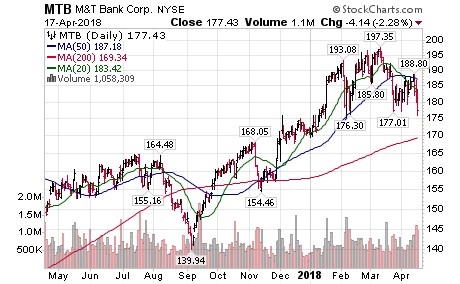 TD.to like some of the other banks is testing its uptrendline and previous breakout point support levels. Good support at $69. I’m fussy and don’t like to chase price but if I had a gun to my head I’d buy this here but with a stop below $69. You were correct in your assessment of the Canadian rate increase today. Carefully worded statements about foreign investments drying up in Canada as a result of our tax climate etc. 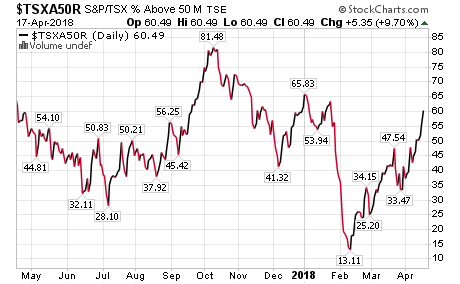 Well if you put yourself into Poloz’s shoes what can you do besides not raise rates to match aggressive U.S. rate hikes and just let the CD$ pullback. That would be very helpful for Canada’s exports which we are depended upon. The U.S. has somehow managed to lower the value of the U.S.$ to accomplish the same thing, making U.S. companies far more competitive world wide. And he’s managed to lower taxes and reduce and remove regulations bringing back industries to the U.S. so the U.S. is becoming a major export of many goods that were once imports. So Poloz being in the position he’s in with a weakening economy and the government and the public heavily in debt with overextended mortgages coming up for renewal and high personal debt loads can’t raise rates without blowing a lot of people away financially so the financial surveys have shown. Doing nothing but talk about possible inflation over 2% and threatening to raise rates “down the road” will keep most people happy. But with strong Oil prices and talk of a NAFTA agreement being likely the CD$ could remain in its 76 to 82 cent range which is right where Canada can enjoy a good exporting business. Perfect scenario for the B.O.C. as long as ‘something’ doesn’t change the equation. But if the U.S. continues to raise rates and Canada doesn’t the CD$ will selloff regardless. Who knows how much the spread between them would need to be to do this is the question. 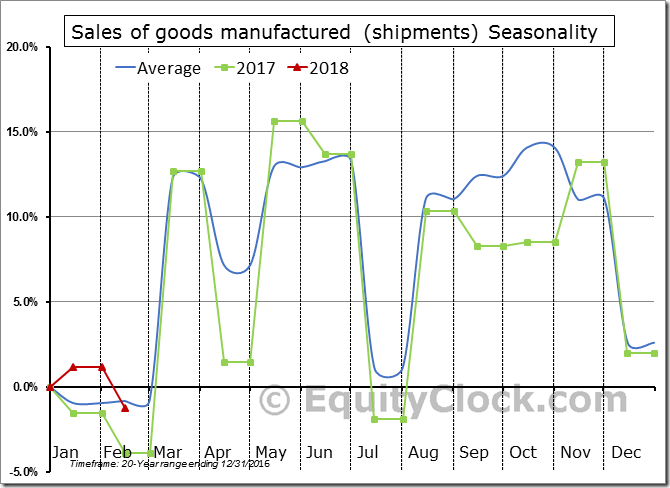 But Canada will always need a lower and competitive dollar in order to export as that’s mainly what our industries do. That is something the former B.O.C. Governor Mark Carney never did understand. So when he was booted out and went to England he did the same thing there raising the value of the Pound to the roof and killing their export business for very long time. The CD$ has pulled back to 79 where it has shown respect for as support when above and resistance when below. A break below 79 would suggest a pullback to 76-77 which is right in its comfort range. 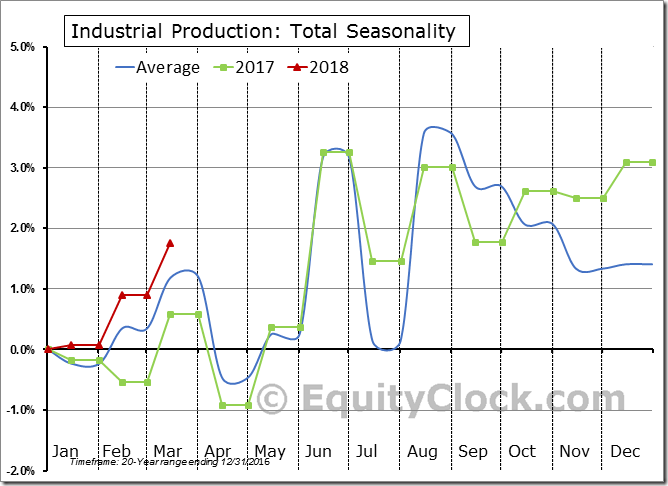 I think April is usually the strongest month for the CAD is it not? So, in a little while, it might be time to once again play the currency game. IF Questrade dropped their currency exchange rates down to .50% I’d switch currencies often like the good old days. Just waiting to see if they bite on this idea or not. 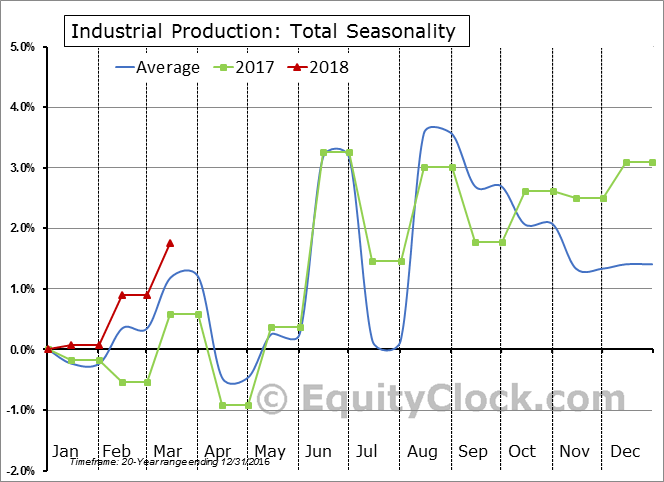 And yes,historically April is the strongest month of the year but like all seasonal trends it is isn’t cast in stone. I’ve seen years that haven’t been strong Aprils. That is why the price chart pattern is the most important factor. ” Forecasts were cut slightly for Canada, the Middle East and North African countries, as well as a number of low-income developing countries.” so there we go! Ron/BC: Do you think this oil price increase will last? 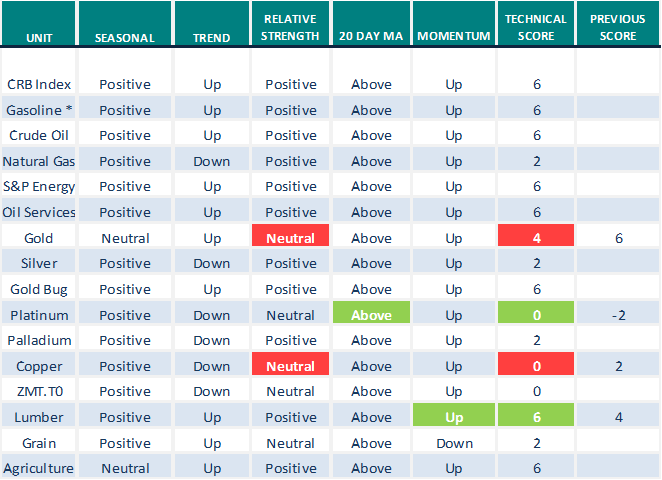 US did not fare well today despite good oil /gas reports. NTR hope you enjoyed your day condo hunting. $WTIC broke out above $62.58 finally and I don’t see any serious resistance until $77 which is also its long term downtrendline. And I did find a condo that was close to perfect. It’s a little ways out of Victoria by 20 minutes but in a picture perfect setting. Can’t have everything can we. Just waiting to see if another pending offer ahead of me is accepted or not. Intuitive Surgical (ISRG) announced Q1 results after the close yesterday and once again blew the doors off. 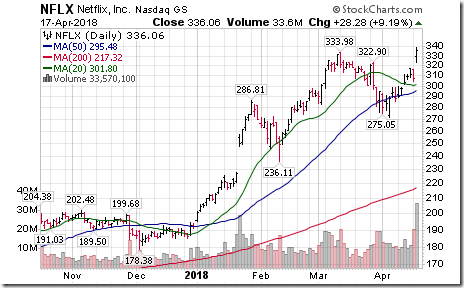 Today the stock was up $35.58 or 8.17% to close at $471.03. Looks like I will need to raise my target price up from $500. Have owned this stock forever (since 2000). Even David Burrows has discovered this stock and made it one of his top picks today. Congrats! Hope it’s not a fixer upper.